Google Shopping can often seem like a black box with frequent shifts and changes. There are no keywords, no quality scores – just bids and product feeds. So how can you ensure that your products are being shown to the searchers that will drive revenue and profit? 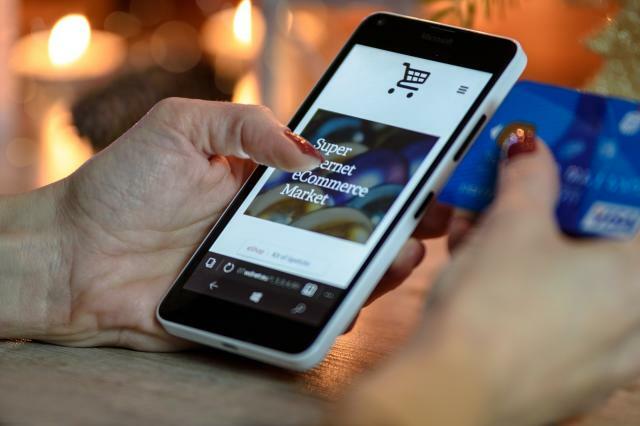 The foundation of every shopping campaign is the information contained in the product feed, and it is through changes to the feed that you can make the most impact on performance. The feed should not only provide complete and accurate product information but also reflect the search behavior of your customer. But how can you ensure that your feed changes lead to the desired result? It’s impossible to improve performance if you cannot measure the impact of a change. In Google Shopping, the most useful tool for evaluating this impact is with A/B testing. A/B testing is simple in its premise – identify a change you would like to make to a group of products in your catalog, apply the change to half of those products, and compare the results of the two groups against one another. While the concept of A/B testing is simple, the impact of putting it into effect is powerful. This form of testing allows you to directly compare the performance of your feed optimization against a control group over the same test period. This removes the noise of outside performance trends and isolates the impact of the feed change. Let’s look at an example of A/B testing on a real product feed. A client of ours sells both residential and commercial machines through Google Shopping and expressed interest in increasing search volume to their commercial products. While some of these products included the search term “Commercial” in the title, their search query data suggested that “Professional” was also an important term for commercial buyers. To evaluate this hypothesis, we ran a month-long test, during which we included the term “Professional” within half of their commercial product titles. Below are the results of this test. By including “Professional” in commercial product titles, the test group was able to drive more traffic to these high AOV items. 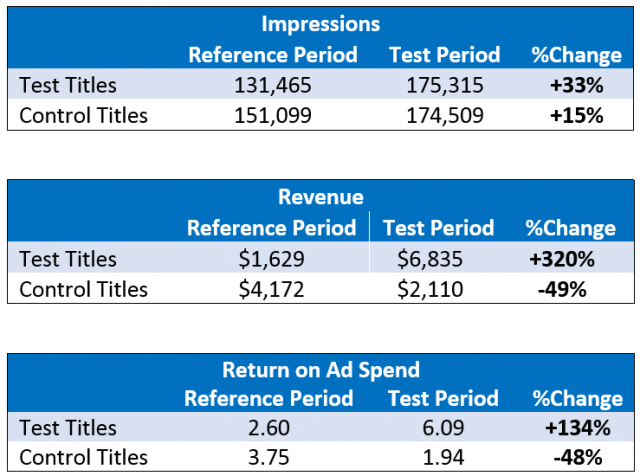 Not only did this A/B test grab additional volume, but also this new traffic was more likely to buy, which led to increased revenue and more efficient spend. While driving positive performance is the end goal of every feed change, each result (positive or negative) provides valuable information about the customer. The real value of A/B testing lies in uncovering the overarching trends of customer search behavior – for example, understanding what people are more likely to search when they’re researching your products versus ready to purchase. If you’re looking for a partner to help with product feed testing, contact our team for an account analysis.